What’s next for Rode Trip…the choice could be yours!! 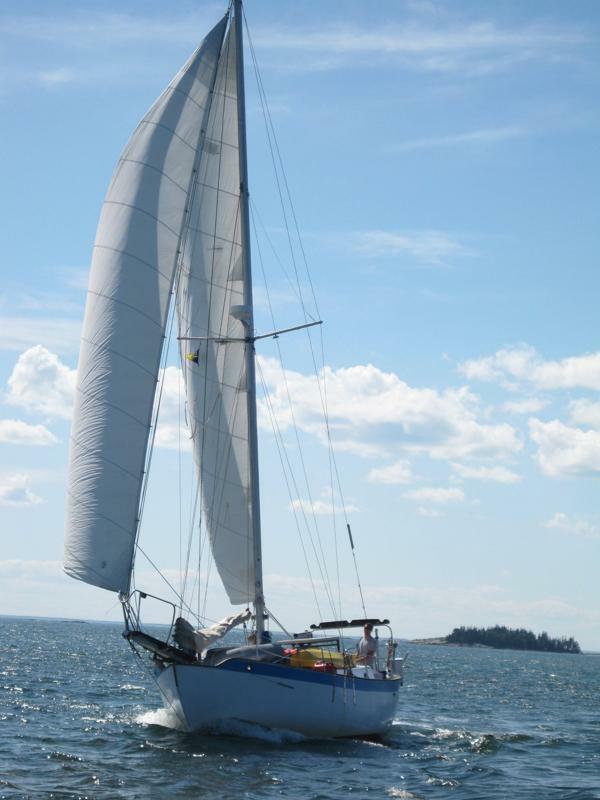 Rode Trip has been a sea-worthy, adventure-seeking vessel for us, maybe she can make your dreams come true too! 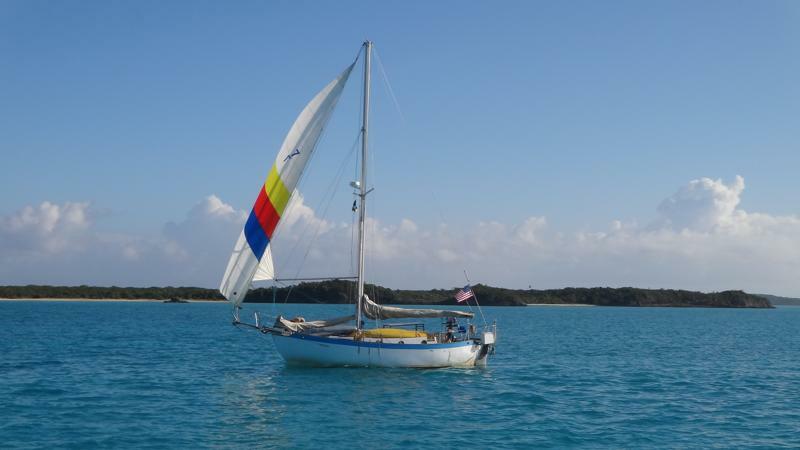 Main and Staysail have custom canvas covers in fair condition. Every headsail has its own bag. Westsail 32 layout featuring opposing settees with a removable centerline table. Comfortable seating for 6. There is a pilot berth to starboard above the settee, currently used for storage. Large cabin area provides massive amounts of storage behind and under settees. Settee cushions and cushion covers in good condition. Each settee is usable as a sea berth with a lee cloth. Forward of the centerline table is a Newport diesel fireplace, putting out up to 16,500 BTUs of heat. The fireplace has its own diesel tank. Moving forward the head is to port, and hanging closet and drawers are to starboard. An airhead composting toilet was installed in 2010. The countertop is done in tile with a stainless sink with hand pump (not currently plumbed). Ample storage outboard of the head in two large cabinet areas, one at sole level and one at countertop level. The V-berth has a step up to the level of the bunk which is a nearly queen sized sleeping area. Underneath the level of the bunk are 4 storage compartments accessible under the mattress. The step up the bunk is on a hinged door that opens to a huge sail locker. There is enough space in the sail locker to stow all unused sails, with space left for additional gear. A large access door enables quick access to anchor rodes. The engine runs well and starts easily. Oil changes and fuel filter changes done regularly. Recent work to the engine includes a rebuilt high pressure fuel injector pump and new raw water pump. Fantastic engine access from the cabin as well as through removable cockpit floor. But I just bought a boat!!! It is a perfect cruiser and someone is going to be very happy to get her. I saw your post on women who sail. Thought I recognized you. We were at Hinkley’s in Savanah, Georgia when you were there last November. We were with friends on the 40 Cat in front of you. We have been preparing sv/Perceptions to cruise ourselves this fall. Good luck to you with your new boat! We remember you all! Hope all goes well with your preparations…departure just around the corner, whee hoo! You’ll have a blast out there! What’s the tentative plan (I know all to well plans change like the wind)? 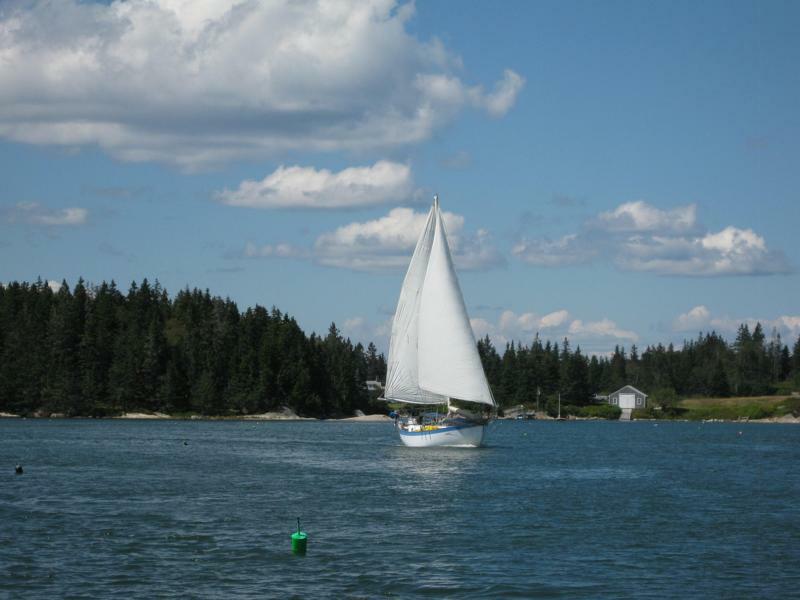 Seeking a live aboard . Does the head not have a shower? The head does not have a shower (we use a solar shower) but does have a drain pan built into the floor and you could install an extendable shower head faucet if you prefer. There is a sink in the head, plumbed to drain out but not currently connected to the fresh water tanks.